Over the past several years there has been discussion of building a new stadium for the Buffalo Bills. New Era Field (formerly Ralph Wilson Stadium) has been the home of the Bills since 1973 and is now one of the oldest stadiums in the NFL. Although a $130 million renovation project was completed at the stadium before the start of the 2014 season, new owner of the Bills, Terry Pegula, has commented that a new stadium will be built. In late 2014 renderings were released of a new stadium that would cost an estimated $1.4 billion and include a 72,000 seat retractable roof stadium. Four sites have been recommended including along the Buffalo River and Ohio Street, next to the First Niagara Center (home of the NHL’s Buffalo Bills), across from Coca-Cola Field (Minor League Ballpark) and at the site of Ralph Wilson Stadium. 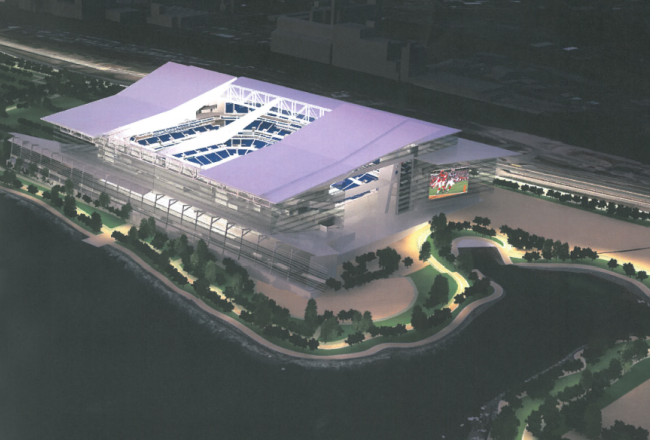 No timetable has been set for a new Buffalo NFL stadium.